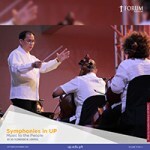 Not resting on its laurels, UP invites and attracts world-class musicians, exposing the public to the best, and inspiring UP’s own. 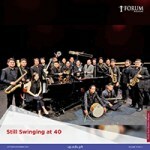 Now on its 40th year, the UP Jazz Ensemble continues to swing as a band which does not only perform great jazz but also promotes the genre through its performances and collaborations with other organizations. Nearing his retirement from the university, the group’s bandleader, Prof. Rayben Maigue, looks back with fondness at what the ensemble has become in four decades. There’s nothing more culturally devastating than having traditions slowly fade from practice into the vestiges of memory. Music, especially those deeply rooted in specific events and experiences, belongs to those traditions. 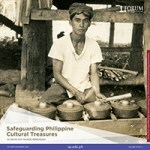 This is why the UP Center for Ethnomusicology is such a high-value resource. 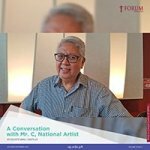 UP’s newest National Artist for Music shares his childhood memories of UP, what he learned from the UP College of Music, and what UP can do to promote a love for original Pilipino music (OPM). 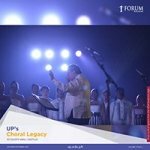 From world-class choirs to musicians who help put the country on the international choral music map, UP has contributed to the creation of a country that sings in harmony. 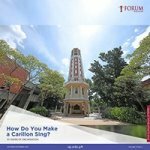 How Do You Make a Carillon Sing? 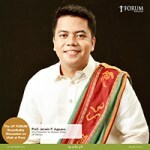 There are few, if any, symbols of the loyalty and honor of UP’s graduates that are quite like the UP Carillon. But how many of us know exactly how it makes music? Find out here. 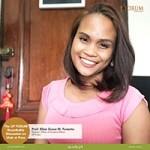 UP Cebu is wealthy with stories of compassion, not just within the campus, but this richness of empathy and kindness flows to the community. Since Palma Hall does not have an elevator, I was particularly touched by the act of kindness and compassion of a group of security and custodial personnel who assisted a wheelchair-bound student, who suffers from muscle atrophy, by carrying him to his third-floor class in Palma Hall and carrying him back down to the ground floor after his class. My most memorable story of compassion and kindness is how UP Cebu students and also the faculty help those who are in need. 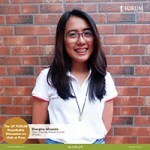 Some faculty of UP Cebu offer scholarships and assistance to financially challenged students anonymously—showing that they do not seek recognition but really are there to help. 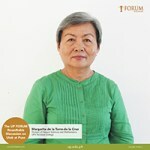 As an academic institution, UP’s main role is providing quality education that will enable students to apply their learning from the university to cope with life’s challenges, to better not only their lives but also to contribute to the development of others.